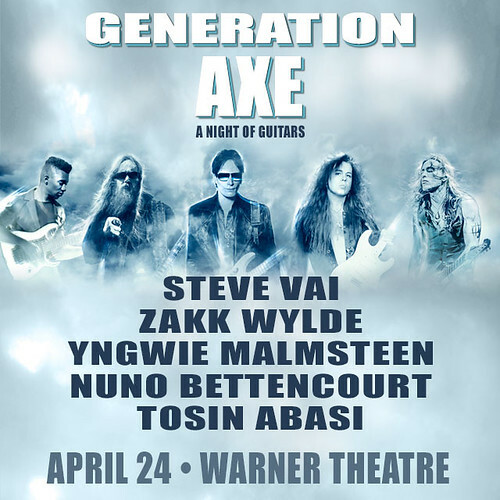 Generation Axe is a truly unique band with a total of five of the world’s best guitarists and they’re playing at the Warner Theatre in Washington DC this Sunday, April 24th! Steve Vai, Zakk Wylde, Yngwie Malmsteen, Nuno Bettencourt and Tosin Abasi will perform in different combinations culminating with them all on stage playing together! 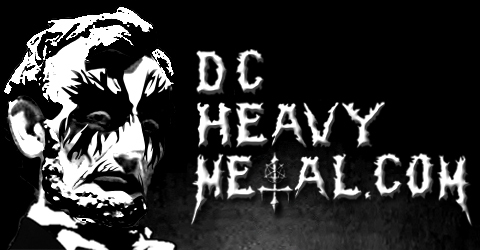 There has never been a concert like this before and one of you lucky DCHM readers is going to get to go to this very concert for free! To enter: just leave a comment on this post telling me your favorite guitarist of all time! At 5pm EST on Friday, April 22nd, 2016, the contest will end I’ll pick a winner at random (using Random.org) from all valid entries to win the tickets. Be sure to use a valid email you check regularly so I can contact you if you win. Don’t worry, I won’t add you to any spam lists or sell your info or anything sleazy like that. If I haven’t heard back from the winner in 24 hours another winner will be chosen at random. If you know you can’t go please don’t enter as there isn’t a lot of time between the end of the contest and the show and contacting another winner in time will be difficult. If you can’t wait to see if you win or the contest is already over when you read this, then you can get tickets from Live Nation for $43 – $83 (depending on section) here. Instead of each of these incredible guitarists performing solo sets Generation Axe will perform together in different combinations letting us witness some very interesting stylistic combinations. They’ll play some songs from each member’s back catalog as well as some covers and even some new material that was written just for this tour. I’m not sure these guys will all have the time in their schedule to do a tour like this together again so you really don’t want to miss this show. It will also be something of a homecoming for Tosin Abasi, the Animals As Leaders guitarist that grew up in the Maryland suburbs of DC. Now tell me who your favorite guitarist is (and it better not be Nick Jonas!) and check out these videos of Generation Axe in action below.